Today, design and philanthropy are largely disparate. Non-profits must usually resort to donating products designed in the first world context to be used in completely different use cases in the developing world. These use cases sometimes render the donated products useless, a perfect example of this is with regards to diabetic equipment. All diabetic supplies is designed in the first world context making them costly and more importantly, proprietary. 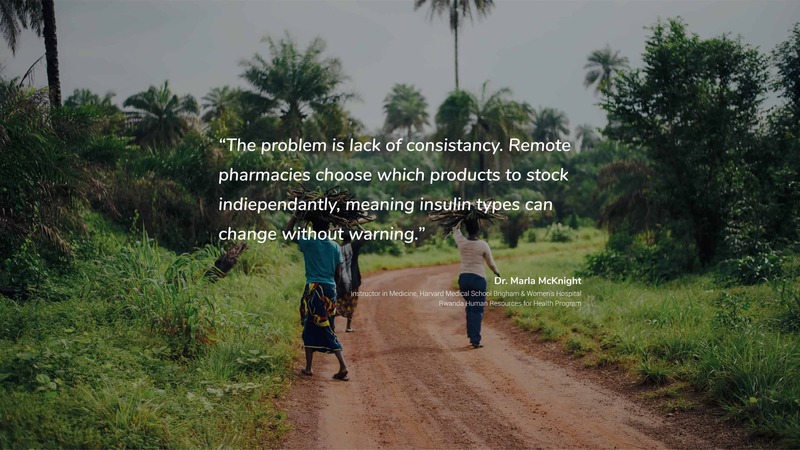 In the developing world governments and NGOs donate insulin to diabetics without any consistency. Without a regular supply of the same types of insulins, the donated medication is useless as insulin types vary dramatically. Banting is a conceptual project aiming to illustrate the aforementioned problem and inspire industrial designers to get more involved in philanthropy. In the age of crowd sourcing we are now living in the first time in history where industrial design based non-profits are actually viable. Imagine the possibilities if we start designing products with the sole intention of bettering society and saving lives. The Banting project was shaped by a sizeable two-month research phase. Academic research, competitive product analysis, expert interviews and use scenarios helped to shape my understanding of the problem and the resulting design brief. Evan is a Freelance Industrial Designer creating meaningful products and experiences for companies big and small. This is great, love the concept of this product!